Springfield will be holding a public listening session to hear residents' ideas, questions and concerns about surviving and thriving in the city during an era of climate change. Residents will also learn about how the City of Springfield is leading on its resilience initiatives. The City of Springfield released two statements on June 1 announcing progress in the City's Climate Action & Resilience Efforts. "We are very proud of the work we are doing, in collaboration with our residents, businesses and advocacy groups, to make Springfield stronger, healthier and more just." said Mayor Sarno. The announcements included the creation of the Facilities and Sustainability Engineer position for the City of Springfield as well as the City's commitment to a series of interim goals of 25% reductions by 2025, 40% by 2030, and 60% by 2040 on the way to the final target of 80% reduction in greenhouse gas emissions by 2050. Both of these actions were recommendations from the community engagement process in the development of the Strong Healthy Just: Climate Action & Resilience Plan. Tuesday, June 5th, 6 to 8 p.m.
To learn more about City's progress on these goals, visit the links below or participate in the June 5 Resilience Listening Session. Press Release:City of Springfield Rebuilding Resilience in Aftermath of June 1, 2011 Tornado"
The city aims to reduce greenhouse gas emissions by 80 percent by 2050, and the mayor urged residents to take advantage of free home energy audits and financial aid to make their homes more energy efficient. Interested in a free energy audit? Visit Ener-G-Save for more information. If you receive fuel assistance, please contact Springfield Partners for Community Action. The Public Health Institute of Western MA is working with the Pioneer Valley Planning Commission (PVPC) and Arise for Social Justice on outreach and engagement of residents and key stakeholders. In addition to residents, we will be working to solicit input from leaders of local businesses, academic institutions, and community-based organizations about their concerns, suggestions, and best practices on how to reduce energy use and make Springfield a resilient, healthy city. After a series of public meetings, the City of Springfield has finalized its climate action plan. The new plan: Strong, Healthy, and Just: Springfield Climate Action and Resilience Plan is available online. Also, be sure to check out the city's dedicated dashboard at www.ResilientSpringfield.org where you can explore the plan and track its progress. Stay tuned for events this fall as the implementation of the plan begins. Following recommendations fromSpringfield’s Climate Action and Resiliency Plan, the Springfield Climate Justice Coalitions and CARP's Resident Advisory Committee called for the city to hire a full-time sustainability coordinator to ensure that Springfield reaches its ambitious goals of energy efficiency and resiliency. After many calls and letters from area organizations and residents to Mayor Sarno for this request, the city has partially incorporated the position into the city's final budget. Springfield will hire a grants person within the finance department who will be required to implement sustainability practices while writing grants for all departments. The position will be up for review in six to 12 months to determine whether a full-time position is needed. 2018 Wood Stove Change-Out Program! The Massachusetts Clean Energy Center (MassCEC), in coordination with the Massachusetts Department of Energy Resources, is excited to announce the launch of the 2018 Wood Stove Change-Out Program! Any Massachusetts resident or business currently operating a non-EPA-certified wood stove or fireplace insert is eligible for a rebate of up to $1,750 when replacing an existing stove with an eligible model. Those that meet certain income requirements are eligible for rebates of up to $3,250. If you own an old wood stove and would like to replace it with a new, low-emission EPA-certified wood or pellet stove, visit MassCEC’s website to find out more. You will need to contact a local stove professional who will confirm that your old stove is eligible and submit a rebate application on your behalf after installing your new stove. Act now to make sure you don't miss the August 28th application deadline! If you are a Springfield resident, would you like to learn more about how Springfield can become resilient to the impacts of climate change, and advise the city on prioritizing resident actions? 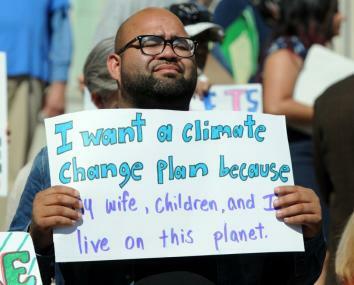 We encourage you to the join the Climate Action & Resilience Plan Resident Advisory Committee which meets the second Wednesday each month at 6 p.m. at Arise for Social Justice, 467 State Street, Springfield, MA. Hope to see you there!